Innovation environments are meeting places for ideas, teams and companies. Innovation environments seek for new businesses from the interfaces between different industries. Innovation environments use methods of co-development and provide innovation services. Some innovation environments are investment objects for built urban environment, so-called regional development objects. Other innovation environments are places where new solutions and businesses can be developed and tested. OuluHealth Labs offers companies a unique testing environment for health product development. OuluHealth Labs consists of testing environments in which businesses, students, and health and social care professionals can test and develop their ideas and products in authentic environments together with actual users. The aim is to put innovation into practice faster, facilitate its commercialisation, and boost the export of Finnish companies in the welfare industry. The area around Karjasilta school that will be closed soon is going to become an area for housing and complementary construction where new products and services for the construction sector and ICT technology are used and piloted. Joint development and interaction has been used in the planning in co-operation with companies, customers, authorities and designers. 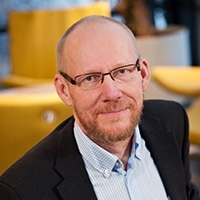 Karjasilta Business Lab will develop new service models, energy solutions, access control and building automation for housing, as well as mobility services. Oamk LABs is an innovative and expanding pre-incubator program at Oulu University of Applied Sciences that focuses on entrepreneurship and multidisciplinary learning. It originated from our original LAB – the Oulu Game LAB – which focuses on the creation of multidisciplinary teams to build prototypes, products and then startups targeting the global games industry. We have recently included two more LABs. DevLAB focuses on the health /wellness and energy/environment industries as well as green sustainability and natural resources. The other one is EduLAB which focuses on the global education technology industry. All work in the LABs is conducted in English. The programs are full-time and last roughly 5 months (every semester). The participants of the LABs include advanced university students in the fields of software design, graphic design, business and marketing as well as health, education and other professional fields. We also admit international exchange students and professionals for retraining as well as students from our partner LABs in places like Japan (Global LAB Sendai) and Netherlands (Groningen Game LAB). We also partner with existing national and international companies to support the concept design and prototyping processes. The cornerstones of the LAB model are work orientation, creative problem solving, concept development, learning by doing, internationalisation, entrepreneurship, interdisciplinarity and broad competence base among participants. Oamk LABs enable learning by experience and practical work. We at Oamk LABs encourage making mistakes – that is the best way to learn!